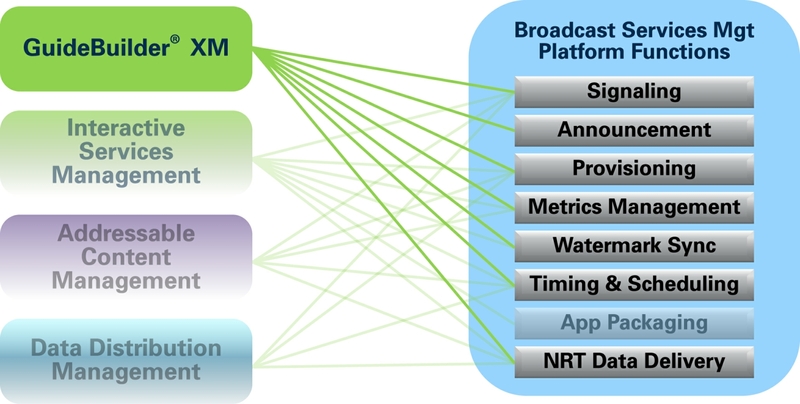 Delivering a seamless signaling and announcement workflow for transitions to Next Gen TV, GuideBuilder XM generates ATSC 3.0 metadata and encodes ROUTE and MMTP IP streams, with continued support for ATSC 1.0 standards. GuideBuilder XM is an essential tool for managing ATSC 3.0 services in a channel sharing environment. With GuideBuilder XM, TV broadcasters can manage ATSC 1.0 and ATSC 3.0 metadata in centralized, distributed, or cloud-based systems. 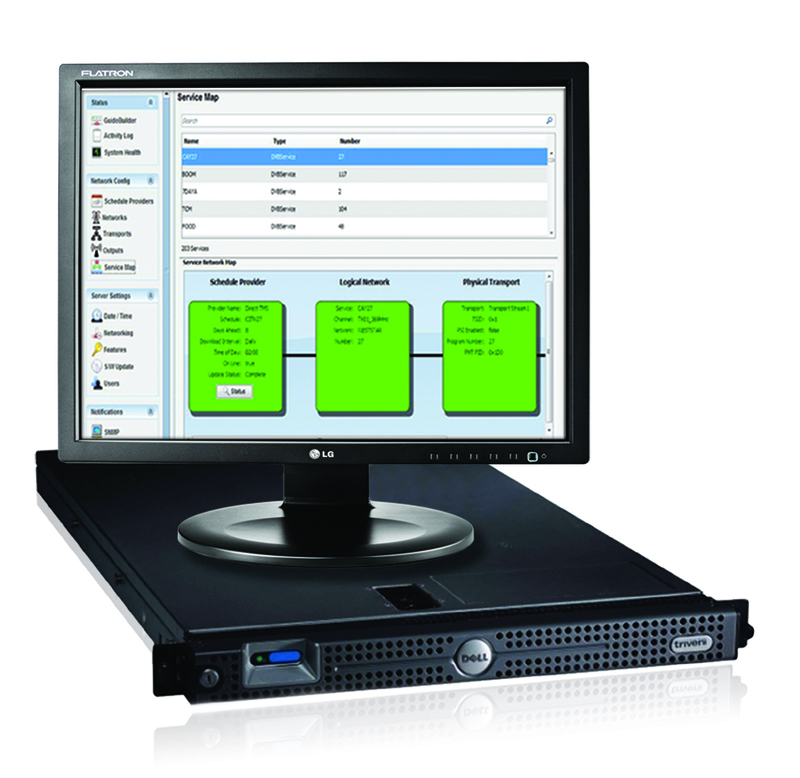 GuideBuilder XM is also an integral part of Triveni Digital's industry-leading Broadcast Services Management Platform, which includes innovative ATSC 3.0 revenue-generating applications such as Dyme™ (Dynamic Media Engine), ACE™ (Addressable Content Engine), and SkyScraper® XM datacasting.